Birthdays are a big deal in our family. We don't go super fancy and extravagant, but we always try to make it special for the person whose day it is. Our tradition is to go out to dinner at the birthday person's favourite restaurant, followed by cake and the birthday songs back at home. This year my birthday happened less than a month after Mum's accident. She was still in hospital at the time and so we had pizza delivered to the hospital and took over the patient lounge for an hour in a makeshift celebration. I didn't care about anything other than being with my Mum & family and it was still a wonderful evening, despite the setting. My sister A turned 30 2 weeks later and the Christmas in July celebration that had been planned was scaled right back to just the immediate family and a home-cooked Italian feast. 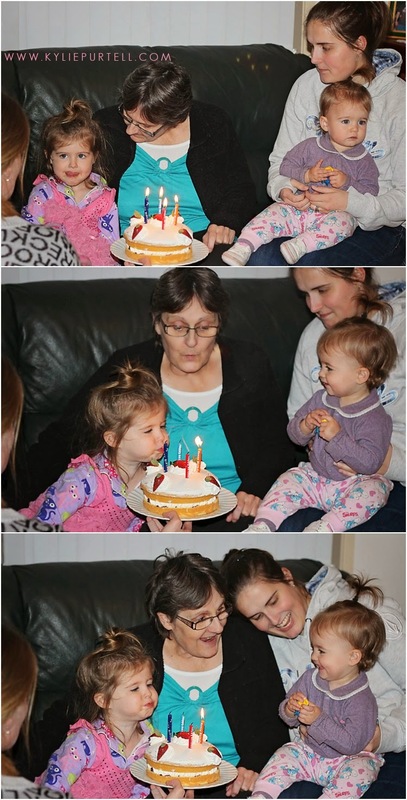 I know it's not how A imagined her 30th turning out, but I think we were all just thankful that Mum was home from the hospital and able to enjoy it. 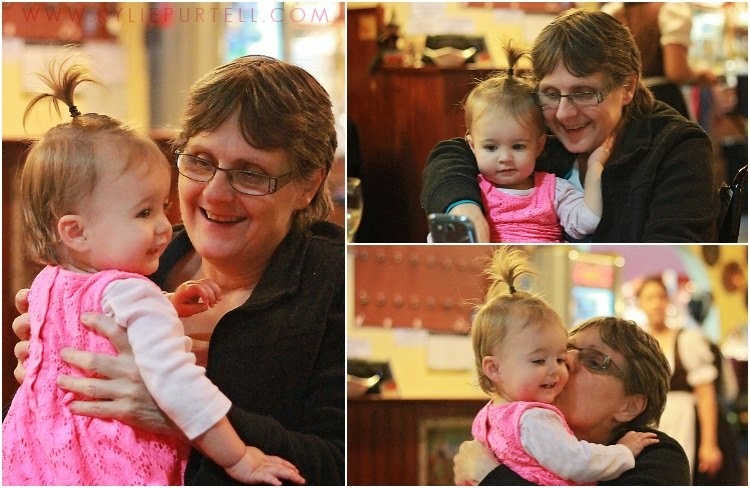 Zee's 1st birthday was also a quiet affair at Mum's, with pizza and lots of ice cream cake for the birthday girl. I plan on making up for the lack of a party for her 2nd birthday, when I will throw her the kind of celebration I gave Punky for her 1st birthday. It just didn't feel right to be going all out and having an extended family gathering if Mum couldn't be there, and so we made Zee's birthday special in other ways. Yesterday was Mum's birthday. We were planning on having dinner at her house, whatever she wanted, and then on Tuesday night she sent us all a message saying that she wanted to go out to dinner at her favourite restaurant. So reservations were made at Bohemian Euro Restaurant at Narellan and off we all went. It was so absolutely amazing to see Mum out of the house for something other than a doctor's appointment or funeral. I know her back was getting the better of her by the time we all finished our meals, but I thin just getting out and having a somewhat 'normal' experience will have lifted her spirits greatly. After dinner we went back to her house and had not one but two cakes, and Punky and Zee helped Grandma blow out the candles. Zee thought this was the most hilarious thing in the world. We ended up getting Punky to blow out the candles three times just so we could hear Zee laughing hysterically. I've included a video of it at the end of this post so you be infected by her laughter too. 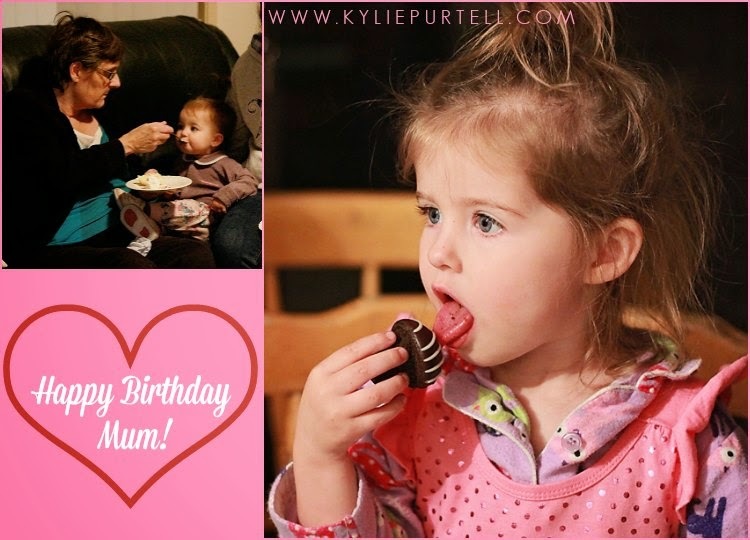 Do you do much to celebrate birthdays in your family? What's your favourite way to celebrate? This is just beautiful, Kylie! I'm glad your mum got the celebration she deserved. You all have such a strong family resemblance. That is the cutest little giggle :) We usually go out for tea or my mum likes to have a cook up and have everyone there, usually for pizza night. Oh that is such an awesome thing to be thankful for - I bet your mum had a ball! And how cute is Punky helping with the candles?! Such a cute giggle. So glad your Mum was well enough to enjoy the celebrations. I love the laughs out of the little one. So cute. We normally don't do anything for our birthdays to be honest. Just go out for dinner and that's it. We don't tend to do parties as the stress they place on the children outweigh any possible joy. And often, due to autism, the joy never comes. But, we still aim to make birthdays special with favourite foods and cake. Haha, they so have no idea do they?! 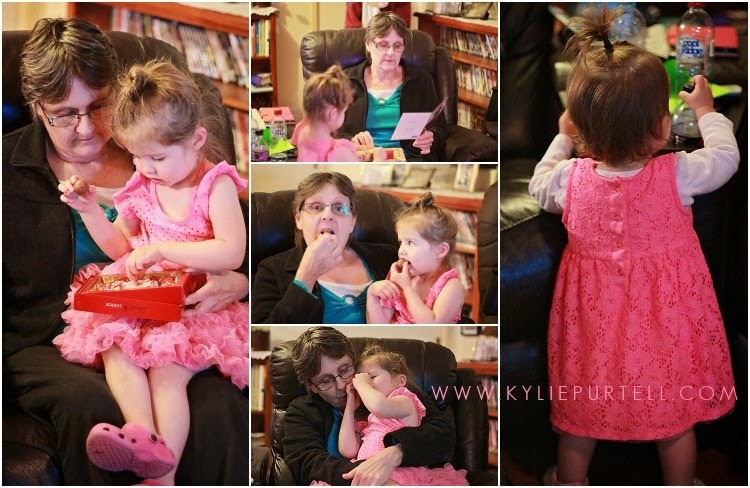 Punky will be 3 in November and she is just starting to get what the fuss is with birthdays. When I told her we were going out for Grandma's birthday the first thing she said was "Yay! Yummy cake!". She has her priorities right, that one! Thanks for hosting! And yes, baby giggles are pretty much the best sound in the world! Isn't it the cutest?! It was so good to see her get out and enjoy a couple of hours of normalcy (and good food). Mum had a great time, she was a bit sore and tired by the end but I know it was worth it for her.